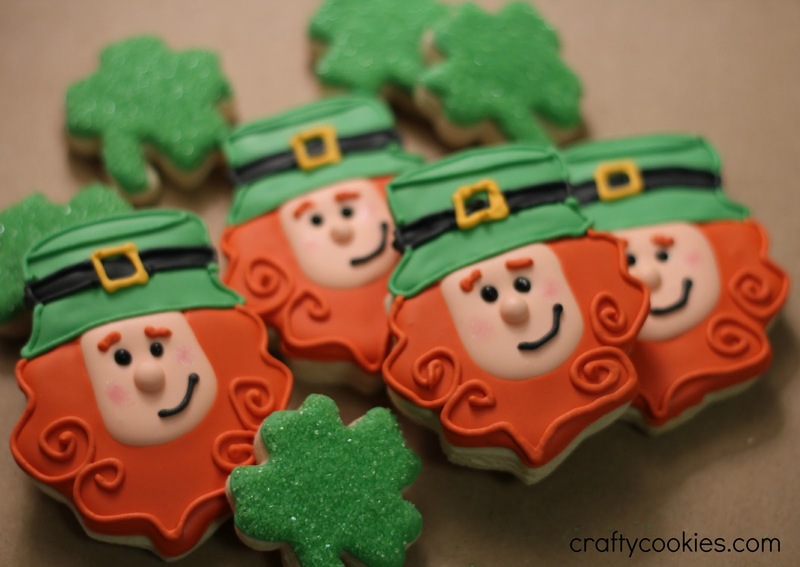 I can't take credit for designing these cute leprechaun cookies. The idea comes from the uber-talented Sugarbelle, who figured out how to make leprechaun cookies from an ice-cream cone cookie cutter. 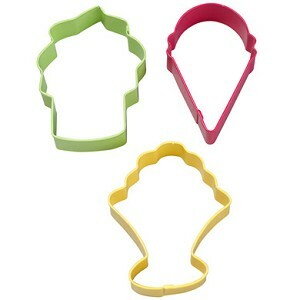 She used the green soft-serve cookie cutter from this Wilton set. Who would have thought? 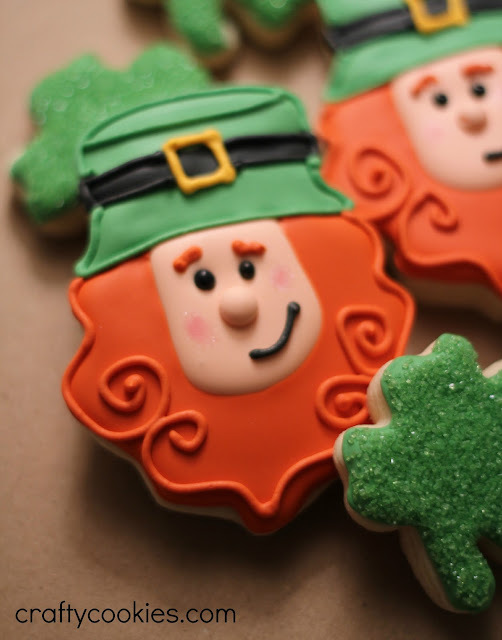 The cookie cutter sure does make some cute leprechauns, perfect for St. Patrick's Day! 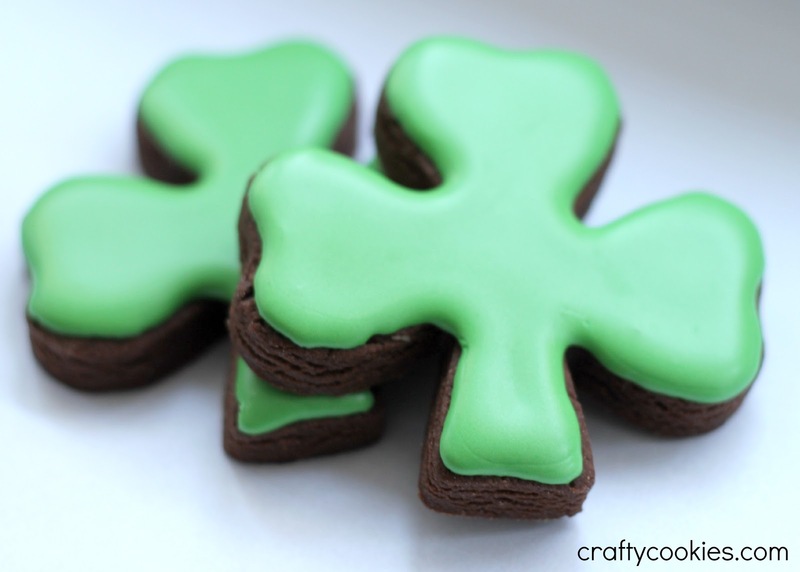 I made a few mini shamrocks to add to the bunch, and decorated them with sanding sugar. Hope everyone had a great St. Patrick's Day! St. Patrick's Day in New York City is always a lot of fun. My favorite part of the day is the parade down 5th Avenue with all of the bagpipes. And watching all of the crazy drunk people. Luckily this year the St. Patrick's Day parade falls on a Saturday, so we'll be able to attend. Hopefully there will be no more of this snow stuff we're supposed to be getting today and a clear sign of Spring will be in the air. 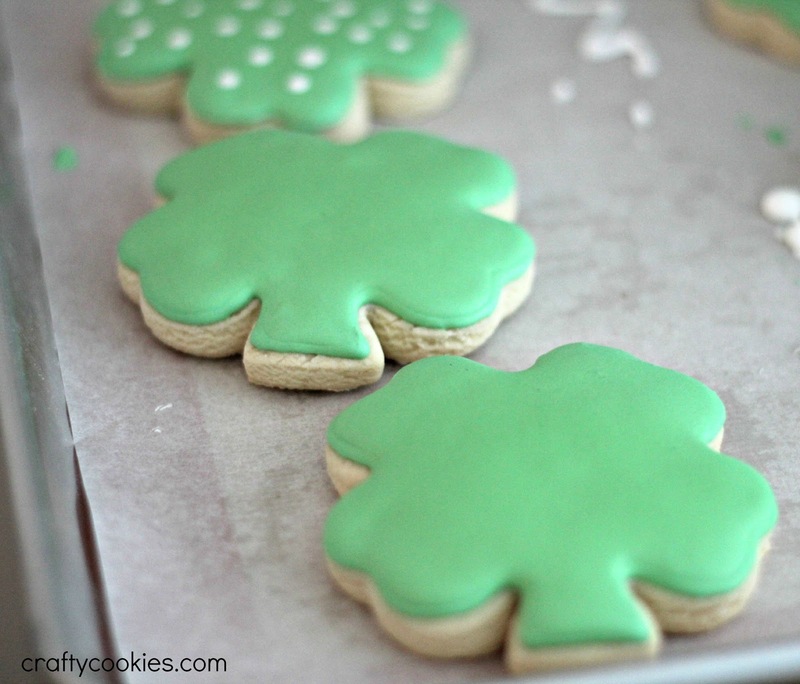 When thinking about cookies for St. Patrick's Day, I was trying to think of something outside of the shamrock. 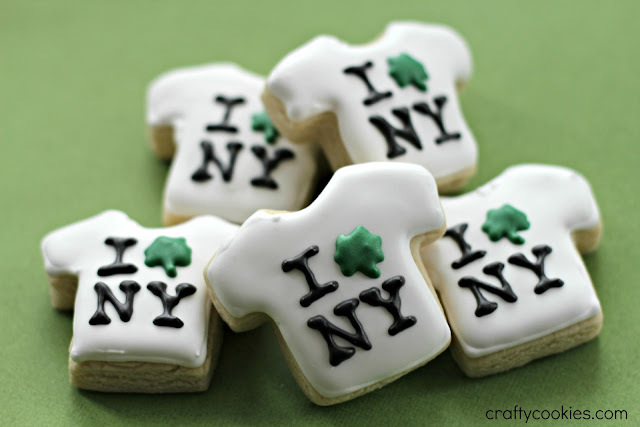 Around this time of year, the street vendors in the tourist areas start selling NYC-themed St. Patrick's Day merchandise to wear during the parade. The most common item I've seen is the white I Love NY T-shirt with a shamrock replacing the heart. 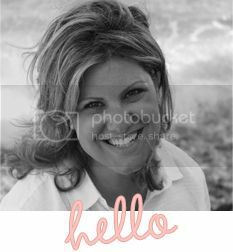 Inspiration! These are mini cookies, made with a small copper T-shirt cookie cutter from coppergifts.com. Love that site. Of course, I couldn't totally forgo the usual shamrocks and leprechauns. I'm still working on those. 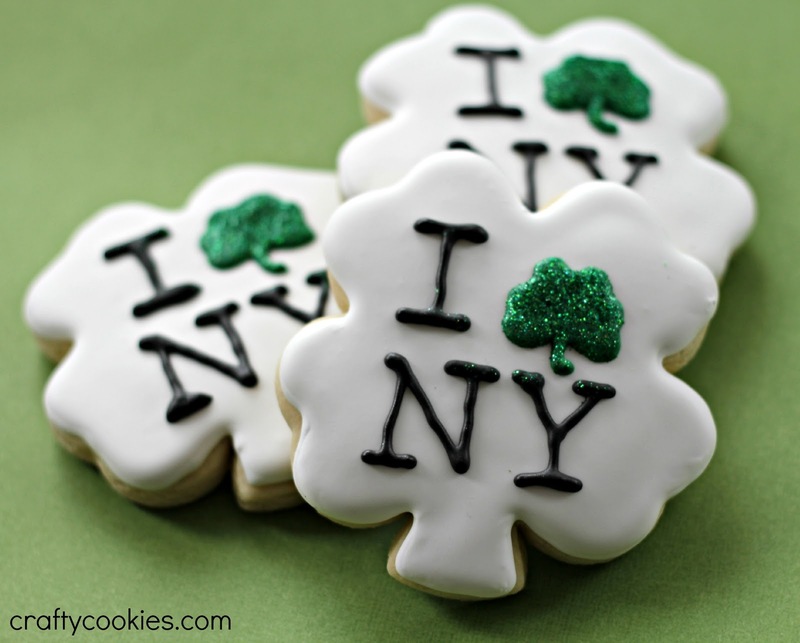 How do you plan to spend St. Patrick's Day? Ever since I started baking and decorating cookies in earnest, I wanted to find a chocolate cutout cookie that held up and, most importantly, tasted divine. Recipes with espresso powder were too bitter, attempts at using recipes from famous chocolatiers fell flat (literally), and all of those recipes calling for expensive Dutch-processed cocoa left me with reddish cookies. Yuck. 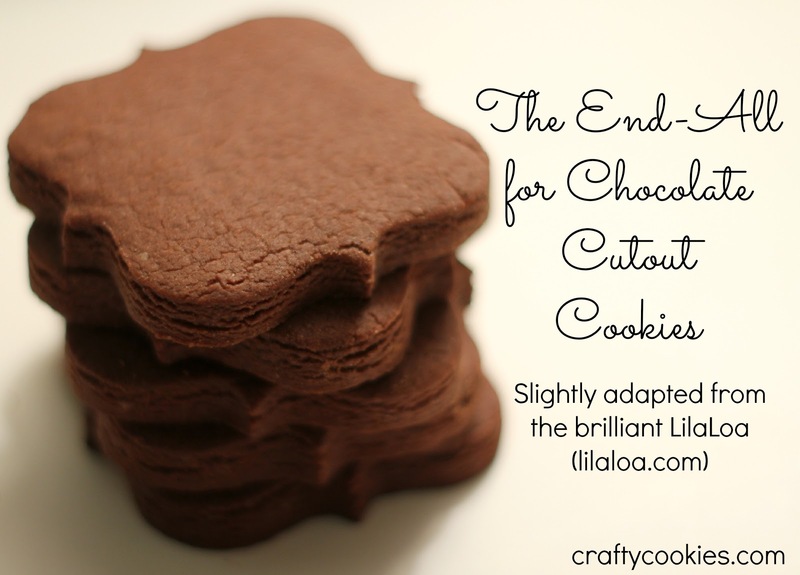 Last year I stumbled upon LilaLoa's blog and fell in love with her cookies. She prefers chocolate cookies over regular sugar cookies, so I trusted that her recipe would be worth trying. I was right. When I baked them for the first time at Christmas, my family clamored for more. My husband (and official taste-tester) said they were his second favorite of my cookies, right behind Jacques Torres's chocolate chip cookies. Really, these cookies are perfect. But being me, I had to make a few tweaks to the recipe. 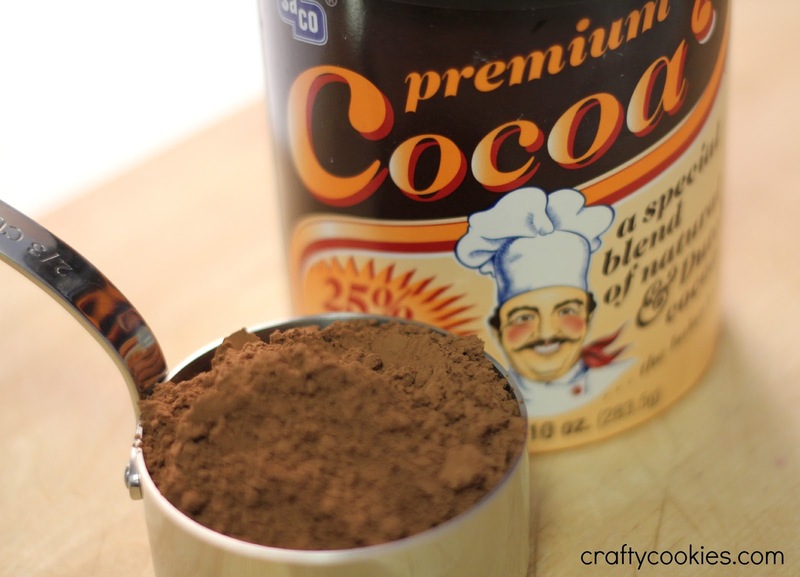 While her recipe calls for regular cocoa, I use Sacco Premium Cocoa. The only thing premium about this cocoa is the taste. A 10 ounce container only costs around $4 at my grocery store. The difference between Sacco's cocoa is that it is a mixture of natural and Dutch-blended cocoa. I find this cocoa gives the cookies a richer taste. 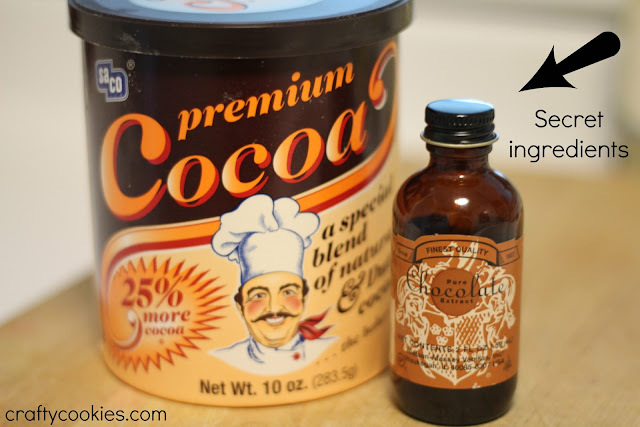 I also substituted chocolate extract for the vanilla extract called for in the original recipe. I've made the recipe both ways, and I think the chocolate extract gives it a nice chocolate kick. The only drawback to the chocolate extract is the price - a pretty small bottle of Nielsen Massey extract cost me $6.99 (granted, I did buy it at the overpriced NYCake, but still). If you can't find the chocolate extract, use vanilla. It's still states amazing. Cream butter, shortening, and sugar together. Add eggs and vanilla. Mix well. Add baking powder and salt and mix again. Stir in the cocoa until well blended. Add flour 1 cup at a time. Roll out on lightly floured surface. Bake at 375 F for 6-8 minutes depending on cookie size. Measure your flower, salt, and baking power and set aside in a bowl until ready to add. This makes the process easier. The dough will seem a little soft. It's not. When rolling out your dough, mix a little cocoa powder with flour on your surface. This helps keep the chocolate flavor and color. I like to roll my cookies 3/8" thick. Watch the time on these cookies. For one batch of bigger cookies I made they had to bake for almost 10 minutes. Mini cookies were done in about 6 minutes. These cookies don't really spread. Use a Silpat or parchment paper-lined cookie sheet when baking. This ensures even baking and bottoms. I'm pretty sure you'll love this recipe. It's perfect for decorating or just eating plain. 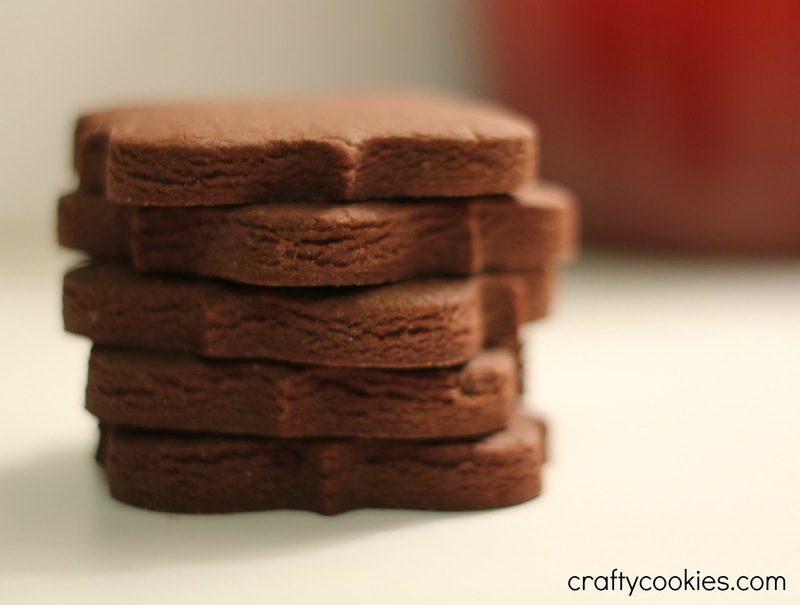 For an even more decadent treat, you could dip half of the cookie in chocolate.